To start our Sunday morning, defending champion Phil Mickelson tries to make a move towards the top of the Deutsche Bank leaderboard facing off against Justin Leonard at 8:05 a.m. Then at 1:35 p.m. leader Tim Clark tees off against second place Mike Weir. Well see of Clark can hold onto his early lead after a superb second round. Kentucky kicks off their season at Lousville on ESPN at 3:30 with the Cardinals favored by 3. The newest NASCAR rivalry takes center stage in California tonight when points leader Kyle Busch goes head to head against Carl Edwards in our prop. Both have great odds to win the race with Busch at 4/1 and Edwards at 7/2. MLB lines for the night are: Reds -135, Yankees -120, Mets -125, and Cardinals -120. ESPN Sunday Night Baseball: Which result will yield a HIGHER total? Matt Kemp and Manny Ramirez try to snap the Dodgers 8-game losing streak at Arizona where they face the ace of the Dbacks staff in Brandon Webb. Webb has had 27 K's in his last 5 starts. Manny has been hitting well but Kemp needs to help him out if the Dodgers have a chance to win this matchup. Yesterday's Notes: Wow, what a day! The Streak Master puts his college football knowledge to the test and destroys Streakers. Entries for the day total at 15.8% overall winning PCT, a new low for Streakers. Our leader at 10 was bounced, thanks to East Carolina's upset over Virginia Tech. A lot of streaks were destroyed but somehow our new leader is still at a respectable 9. Todays matchup board is loaded, from soccer to football to baseball. The English Premier league makes its Streak debut with West Bromwich on the road against Bolton. With the draw given to the road team, it is basically a 50-50 matchup. At noon, a great matchup is set with Virginia Tech on ESPN and Northwestern on ESPN2 featuring the prop matchup "who will have the higher winning margin". V-Tech is favored by 9 and Northwestern by 11, so it should be fun switching back and forth between the two games. A potential upset special is on ABC at 3:30 p.m. with a veteran Utah team at the Big House to face a young Michigan squad. More college football is on our board at 8:00 p.m. with Alabama +5 at Clemson, followed by three intriguing props that should get a lot of play. In MLB action the Red Sox, Indians, Reds, DBacks and Rockies are all favored. NCAA Football (Top 25 Special): Which side will record a HIGHER TOTAL? On ESPN, two top 25 teams with top-tier quarterbacks go at it on the gridiron. Missouri and Heisman candidate Chase Daniel are favored to beat Juice Williams and Illinois by 9. So we made the prop interesting, by putting Illinois longest rushing touchdown against the winning margin by Missouri. Its basically a toss-up, but there is slim chance Juice Williams breaks loose for a long TD or maybe Illinois can even pull an upset. Yesterday's Notes: A solid day overall for Streakers with a 66.7% winning PCT. Our leader SRudnicki1 is now at 10! The biggest breaker of the day was Phil Mickelson to no real surprise but everything played out for most Streakers as the heavy favored Chicago Cubs barely got by Philly as the day's biggest streak extender. The leaderboard almost got shaken up after the Cubs barely got by the Phillies. Harden only had 5 strikeouts to the Phillies 6 hits which gives the Streak Master my first losing streak. Thank goodness it's the weekend! Enjoy the beginning of college football! The Streak Master has been struggling as of late. 11:06 AM ET: Streak Master Chats, Vijay Loses to Sergio. Yes everyone, I am pounding my head on my desk as we speak. I really cannot believe Sergio pulled it out against Vijay. SRudnicki1 is now at 9 and made me look bad in the chat this morning, because I picked Vijay to his Sergio. Keep Streaking everybody, while I need to see Dr. James Andrews to get my skills back. By the way, this morning's chat was very successful. Thank you for the "interesting" questions and Keep hounding the Buzz Master to let me back on next week! The PGA Tour makes its debut on the board this morning with red-hot Vijay Singh going up against Sergio Garcia at 8:22 a.m. Both are considered front runners to win the tournament, therefore it should be a close one. Defending champion, Phil Mickelson takes on Anthony Kim at 1:07 p.m. with Phil getting the slight advantage here, but with the first 9 holes, anything can happen. A few MLB matchups follow golf with odds favoring the Cubs, Red Sox, Mets and Dodgers. On ESPN at 8:00 p.m. we have a Friday night lights battle featuring SMU +3.5 @ Rice followed by the always unpredictable NFL preseason to finish the day off. Don't forget to chat with the Streak Master this morning at 10 a.m.
MLB PHI @ CHC: Which side will record a HIGHER total in the game? Rich Harden has been pitching fantastic lately with 21 strikeouts in his past 2 starts so look for him to continue that trend. If the Phillies can overcome their 2 game losing streak they should have a shot to win this matchup but I like Harden here. Yesterday's Notes: The winning PCT is back to where I like to see it, 41.6%. The percentage is low thanks to the Stanford Cardinal who took down the favorite, Oregon State. 95% of entries took the Beavers in the 9:00 p.m. matchup, including yours truly. The top streak extenders for the day were the Silver Stars who really took it to the Phoenix Mercury in their first game back, and the Cubs who scored 5 runs in the eighth inning to top the Phillies. We have a lone leader at the top, with SRudnicki1 sitting at 8. Odesnik played well today at the U.S. Open and won 12 games but that was not enough as Stanislas Wawrinka put on quite a showing with 17 aces. All 4 of our leaders who had 7 wins all got knocked down from the top with the loss, also putting the Streak Masters streak to an end as well. By the way, The Streak Master will hold a live chat tomorrow morning from 10:00 am to 10:20 am. Join the chat, ask some good questions, and maybe even make a friendly wager. Join the new Facebook group. The U.S. Open starts our day off once again with American Wayne Odesnik's games won against 10th seeded Stanislas Wawrinka of Switzerland. Look for this matchup to be closer then our previous U.S. open adhocs. At 1:05 p.m. the final Sox-Yankees rivalry game at Yankee Stadium takes place with both squad's aces taking the hill. The Yankees are favored with a -125 line but the Red Sox could easy take the sweep here. College football opening night is finally here and we provided you with two matchups: UTEP +3 @ Buffalo and Oregon State -3 @ Stanford. Also, the WNBA makes its return to our game with the Silver Stars +1.5 @ Mercury. If you time it right, it is possible for a 4-win day. NFL Preseason MIN @ DAL: Which team will have the LONGEST TOUCHDOWN play? This matchup is a toss-up, but keep in mind the yardage only counts for a touchdown and nothing else aka field goals. Streakers seem to like the Cowboys here so far, and they are favored to win the game so they get the slight edge from the Streak Master. Yesterday's Notes: Another solid day for Streakers with a 69.5% winning PCT. Streakers jumped on the Andy Roddick prop right away and came out victorious joining the Mets' solid win over the Phillies as the day's top streak extenders. The top streak breaker was the combo of David Ortiz and Kevin Youkilis thanks to Jason Giambi's homer in the 9th of Mike Timlin. We have three leaders sitting at 7 right now, a pretty big number in only 3 days work. Duke won the prop against Soriano, 6-3. The Streak Master looks brilliant again as Pirates pitcher Zach Duke recorded 6 strikeouts in his solid start against the first-place Cubbies. Soriano has a good day recording 2 hits, including one for a double but it was not enough. Luckily for the leaders, they stayed away from this matchup but in our afternoon matchup we have a tie game all notted at 1 going into halftime. We'll see whose left standing after the games tonight. In regards to the 11:00 a.m. tennis matchup, we at Streak Headquarters wanted to let you all know that game tie-breakers DO count towards games won and lost. Currently, #3 Svetlana Kuznetsova seems to be running away with this matchup with already 8 games won now into the middle of her second set. Also, the "Beat The Streak Master" College Pick'em group is up, click here to enter. Just to clarify for those who are picking this matchup at Noon, the streak matchup provided will be the final score for the second leg only, not the aggregate. If the away team (Levski Sofia) wins 1-to-0 then there will be extra time to determine who will advance to the next round, this DOES NOT affect our matchup. Our streak matchup the match includes 90 minutes and injury time, if extra time is needed to resolve the tie on aggregate that will not be included in the final game score. Enjoy the day, Streakers! Our first "hump day" gets under way, starting at 11:00 a.m. with an interesting U.S. Open tennis prop - make sure to do your research here (hint: one is in the Men's draw and the other in the Women's... both are top-seed Russians big favorites to win). On the board at noon is a Champions League qualifying matchup between PFC Levski Sofia at FC BATE Borisov. Borisov won the first leg on the road 1-to-0, which should mean they will at least tie today but with UEFA soccer you never know. At 12:35 p.m. in Pittsburgh, Alfonso Soriano puts his .571 lifetime average against Zach Duke in a total bases vs. strikeout matchup. On ESPN's Wednesday Night Baseball, game two of what could be the last Red Sox-Yankees series at the old Yankee Stadium takes center stage with the Yankees favored at -115. Other MLB lines for the night are: Tigers -180, Mets -155, Cardinals -160. Late night under the lights in Flushing we're offering Andy Roddick total aces vs. the pesky Frenchman Fabrice Santoro's games won. We could have a 3-win day. MLB Wednesday Night Baseball: Which combo will record MORE total bases? Big Papi and Youk take on Giambi and his mustache along side A-Rod. Ortiz was 1-for-2 with two walks in the series opener with Youkilis going 1-for-2 as well but with three walks. On the other side, the two Yanks didn't have any hits with Giambi and A-Rod going for a combined 0-for-8. Will the Yanks big bats bounce back? (say that three times fast) Or will the Sox heavy hitters keep on rolling? Yesterday's Notes: A nice looking scoreboard last night with a overall winning PCT of 68.4% by Streakers. We have 10 enteries with streaks of 4, nice work. The Houston Astros took home the cake as the top streak extender for the day while the New York Yankees were the top streak breakers as they took the loss at home against the Sox. Should be a interesting day today on the leaderboard by days end. Wow, Jamie Moyer got creamed tonight. 6 earned runs off 9 hits in only 3 innings? He was pitching well of late for the Phils but Pedro entries come out with the win, and more Streaks start to hit the 3 mark. It could be Streak disaster if Arroyo strikes some more guys out, as that score is 3 to 3 right now. And yes, if you must know, I had my first loss tonight. But the good news is, Streak for the Cash was mentioned on "The Herd" today, good stuff. Querrey won the 'more aces' prop 11-5. Day 2 of Streak gets underway with the first round of the U.S. Open in New York at 11:00 a.m. ET. We matched up Sam Querrey of the U.S. and his monster serve against the favorite to win the match, Tomas Berdych in a MORE ACES matchup. Our first of many afternoon soccer matches is at 2:45 p.m. with Sparta Prague trying to avenge a 2-to-1 loss at home against Panathinaikos in the first leg of this qualifying round two weeks ago. We gave Sparta the draw here, in leg number 2. Also, two big-time rivalry's kick off tomorrow as well with the Sox at the Yanks (Yankees -150) and the Mets at Philly (Phillies -125). Other MLB lines: Cardinals -105 and Rockies -117. MLB NYM @ PHI: Which pitcher will allow FEWER hits? Pedro has given up 18 hits in his past 3 starts while Moyer has given up 15 in his previous 3. Should be a toss-up, but expect Moyer to stay in the game longer. Yesterday's Notes: Rough first day for Streakers across the board as the overall winning PCT was a low 30.3%. The top Streak extender was the Phillies over the Dodgers matchup with 66.8% of users picking Philly correctly. The Diamondbacks were the big breakers of the night, destroying 89% of entries. Don't worry. there will be more matchups included daily, with a lot more to chose from. Also, at Streak headquarters we ran into some technical difficulties with our scoreboard around 10:00 p.m. we apologize for the inconvenience, it should not happen again. Oh by the way, Streak Master is 1-0. Ladies and Gentlemen, our winner of the "beta" insider version of Streak for the Cash is Stolle. He won with the UEFA Cup matchup with SK Sturm Graz earning the draw earlier this afternoon. Thanks to Ryan Lochte winning the 200 meter backstoke, he is our only entry at 15, and if everything checks out, our winner of $4,500. Congrats to Stolle and a job well done! 4:14 PM ET: 15 Has Been Reached!!! Our first Streaker (could be the only one) has reached the promise land with 15 correct picks in a row. Stolle could be the winner if rkalcorn fails to win a matchup between now and our last matchup at 10:19 p.m. Also, the winner could come from the 13 group if things fall into place based on winning PCT. Congrats for now to Stolle, 15 is impressive. jriddell13 and Stolle are going head-to-head in the UEFA Cup match happening right now (2:15). jriddell13 has chosen FC Zurich to get the win, while Stolle chose SK Sturm Graz to win or get the draw. One will be left standing at 15 with our other leader at 14, hanging around with his pick until later. This should get interesting. Since we have many Streakers close to our magic number of 15, it is time to remind you about the specific rules for the process of winning. Keep in mind that the first entry to 15 is NOT automatically the winner. On the rules page you can see that if 2 or more users reach 15 wins in the same day, the tiebreaker is the overall win percentage. If one entry reaches 15 on the Tigers at 1:05 and someone else wins the swimming event at 10:00, they are both eligible to win depending on who has the higher win PCT at the time they reached 15 wins. Also, if you win a 15th game today and lose on the 16th pick, you are still in the running to win the grand prize depending on other entries if they reached 15 and/or they have a better win PCT at the time on the 15th pick. I hope this clarifies any confusion you all may have. Today's Preview: "Ground control to David Toms." Two contenders to win the Wyndham Championship tee off at 7:30 a.m. with predicted winner, Vijay Singh going up against the always dangerous, David Toms. At 8:00 a.m. the "Redeem Team" look to get revenge against the Greece team that defeated them in the 2006 FIBA championships. We put up each team's leading scorer against each other in our Streak matchup. D.Wade had 19 off the bench in the U.S. victory of Angola Tuesday while Vassilis Spanoulis of Greece had 23 in their victory over Germany. The UEFA Cup gets back under way today as well with two featured matchups. Look out for FC Honka as they receive the draw in our matchup on their home pitch. On Fox at 8:00 p.m. the Panthers travel to the land of brotherly love to take on the Eagles, who are 3 points favorites. In our late-night Olympic matchups we have American swimmer Aaron Piersol who is a 4/6 favorite in the 200 meter backstroke versus the field and we could have a Streak winner by day's end! Best bets: Spanoulis, FC Honka, and Piersol. Yesterday's Notes: Another great day for Streakers overall with a 74.6% overall win PCT, along with multiple 3-win day across the board including our leader, Stolle. With 13 in a row, can he make it to 15? Can he make it there before other Streakers who are at 11 and 12 get there, if at all? The biggest Streak extenders were the heavy favorites, the Red Sox and Japanese swimmer, Kosuke Kitajima. No major upsets last night but keep an eye out today. Jake Peavy has been dropped as tonight's Padres starter against the Brewers and C.C. Sebathia. Taking his spot will be John Banks, who is 3-4 with a 3.77 ERA. Due to the modified starting pitching matchup, we have taken the game off the board. The U.S. table tennis team took down the Netherland this morning taking the match, 3 games to 1. The win moved one Streaker to 11 while the Ivory Coast (1-0 win) gave two Steakers 11 straight as well. MHJONES00's dream of 15 was shattered by his pick of Australia. 4 Streakers are now at at 11, can they make it to 15? Today's Preview: The Olympics take over the last week of our insider (beta) challenge. Starting things off, at 7:45 a.m. the Ivory Coast are slightly favored in a group stage match which means Australia gets the draw. Then at 9:30 Streakers are introduced to table tennis as the U.S. Women take on Holland aka the Netherlands. Both teams are 66/1 odds to win the gold, with China heavily favored at 1/25 (keep that in mind). The Champions League continues its qualifying (third round) with Russia's Spartak Moscow hosting Dynamo Kiev of the Ukraine, whom we give the draw to on the road. On ESPN's Wednesday Night Baseball between the Rangers and the Red Sox, we have the second basemen going head to head in a total bases matchup. Both players are hot right now with Kinsler hitting 7 for his last 11 while Pedroia is 5 for his last 10. Olympic swimming finishes our night once again, this time with 1/5 favorite Kosuke Kitajima of Japan taking on the field in the 200 meter breaststroke. A possible 4-win day for Streakers. Best bets: Ivory Coast, Spartak Moscow, Kinsler and Red Sox. Yesterday's Notes: Another solid day for Streakers, netting a overall winning PCT of 85.5%. The biggest winner was the -5000 favorite in Michael Phelps who dominated the field in the 200m butterfly. The leaderboard is getting crowded at the top with 5 10-game Streakers and the two leaders: Ruudbuoy and MHJONES00, with 11. Today's Preview: Kicking things off at 8:00 a.m. is the U.S. Men's basketball team taking on Angola. The Americans are heavily favored to win the game therefore we created a prop between 'Melo and Angola's leading scorer of the game. In their first game against Germany, Eduardo Mingas led Angola with 24 points while Carmelo only had 3 against China. Look for 'Melo to bounce back today but I'm not sure about 20-plus. Our first beach volleyball matchup is at 10:00 a.m. with the U.S. squad of Jacob Gibb and Sean Rosenthal against the German team of Julius Brink and Christoph Dieckmann. The third qualifying round of the UEFA champions league starts today as well with our featured matchup at 4:00 p.m. featuring Slavia Prague on the road against ACF Fiorentina who get slight edge on their home pitch. A little ATP action to rounds up the afternoon segment then at 10:21 p.m. Michael Phelps goes for his fourth gold medal in the 200 meter butterfly. We have him up against the field and he is still highly favored, what a story this guy is. Some MLB lines for you: Tigers -120, Marlins -120, Yankees -125, Astros -120, Phillies -125. Possible 5-win day, somebody could be making some serious moves by Wednesday! Best bets: Angola, Germany Volleyball, Phillies and Phelps. Yesterday's Results: Streakers are starting to catch fire lately and last night's winning PCT of 81.1% proved that theory true. Pedro looked like the Pedro of old with only 1 earned run allowed on 3 hits in 6 innings of work. He gave 94% of users the win, good for the biggest of the day. The biggest streak breaker was the Phillies as they were taken down again by the Dodgers late last night. Two leaders with 9 sit on top of the leaderboard. The United States used a 25-11 point 3rd quarter to pull away from Yao Ming and China in the first preliminary game in group B. LeBron took the game over with some fierce blocks and highlight reel dunks finishing with 18 points. Dwight Howard chipped in 13 to help the U.S. combo take down Yao Ming and Yi Jianlian in our Streak matchup. Yao played well for a athlete coming off a severe foot injury but Yi never got into a groove and only added 9 to Yao's 13. Also, Manchester United defeated Portsmouth in penalty kicks 3-1 after 0-0 full-time draw. Due to the match being in tournament format, there was no "draw" involved. 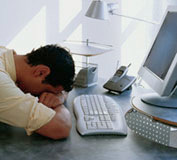 Our mistake here at Streak headquarter, our apologies to the users who took the Portsmouth draw. Best bets: LeBron + Howard, Mets, Cubs and Nevada Little League. Yesterday's results: Saturday night was one of the lowest winning PCT ever recorded in Streak history with users only winning 20% of all matchups. Some big streak breakers : Chicago Cubs with 98%, Candace Parker 91% and Arizona with 96%. The day would have been even worst if it wasn't for Shelton, Connecticut's two homeruns in their final at-bat to move on to the Little League World Series over Manchester, New Hampshire. We need someone to catch fire on the leaderboard because there's only 5 days left in our insiders-only game, can you be the one to win the $4,500? Today's Preview: Since Kenny Perry has left the PGA Championship a new golf prop has been added for the morning slot featuring Vijay Singh (+6) vs. David Toms (+2). Vijay had a tough first round but played very well last week which should carry over, but we will see if that holds true. The Italian soccer powerhouse, Inter Milan takes on Sevilla FC of Spain in the first round of the four-team Amsterdam Tournament at 11:00 a.m. Inter Milan is slightly favored with the draw given to Sevilla, but so far Streakers don't seem too worried about that. Red hot Ryan Ludwick teams up with slumping Troy Glaus to take on Ted Lilly in a total bases vs. strikeouts matchup at 2:20 p.m. Lilly is usually good for 5 or 6 K's but that number won't be beat unless Ludwick stays hot and Glaus manages to get a hit or two. Lastly, don't forget to catch the Little League Southeast regional final on ESPN at 8:00 p.m. Best Bets: Toms, Cubs, Red Sox and Dodgers. Yesterday's Notes: Our previous leader who had 11 has gone down and he has the Atlanta Braves to thank for ruining his streak as they defeated the Diamondbacks. 95% of Streakers who took this matchup went with Arizona and went down as well, ouch. Overall, another poor performance as the overall win PCT was 31.6%. With exactly ONE week to go, can someone hit 15 and win the $4,500 grand prize? Anyone? 15 is harder then it looks eh, Streakers? Kenny Perry has withdrawn from the PGA Championship due to an apparent eye injury involving his contact lens. Yes, strange but true according to ESPN.com. Perry shot a 9-over 79 in his first round and will probably be out for just this weekend, therefore his matchup against Justin Rose will be taken off the board. Also, only 3 Streakers picked the Nationals in our afternoon prop against the Rockies to receive the win. Looks like our leader is still waiting for a matchup to catch his eye which is wrestling up some fellow Streakers feathers on the message board. David Wright just gave the Mets the win after a two-out walk-off home run. The Mets win gives Santana the win in our streak matchup 7-6. Just when Schoeneweis looked to have given the Padres a second life by giving up a eighth inning home-run to Jody Gerut...who? Wright saves the day and the 33% of Streakers who took Santana. Another instant Steak classic! Sergio Garcia shot an even par on his first 9 holes to beat Anthony Kim who shot a 2-over, 37. Also, at Streak headquarters we had to take down the Phillies - Marlins matchup because of the overwhelming odds favoring Philly -220. To clarify, if a specific matchup is over -185 we will most likely take it off the board since there should be no "gimmies" in this game but we will do our best not to take the matchup off the board on the same day to avoid any confusion. Oh yeah, in case you have not heard, Brett Favre is a New York Jet. J-E-T-S...alright that's enough. Today's Preview: A possible Ryder Cup preview starts us off in the morning with Sergio Garcia taking on Anthony Kim as they tee off at 8:25 a.m. Just a reminder, that most golf matchups will now be 9 holes due to the time length of previous full round matchups. These have been altered to give you Streakers more opportunities to pick throughout the day. Another strikeouts vs. total hits matchup will keep us entertained during the early afternoon hours as Johan Santana takes on the San Diego Padres hitters at 12:05 p.m.. The Padres did have 11 hits in the first of three games last night but don't expect these Padres to get 10 hits off Santana. A rare team vs. team prop is at 3:05 p.m. between the Nationals and Rockies, who are at Coors Field so expect some high numbers here. Some MLB Lines: Cardinals -145, Yankees -153, White Sox -140 DBacks -155, and Mariners -128. Best Bets: Anthony Kim, Rockies and DBacks. Yesterday's Notes: Streakers have been in a little bit of a slump lately and with yesterdays overall win PCT tallying up at 50.8%, this could be a sign for things to come. The biggest streak breaker was obviously the women's soccer upset with Norway taking down the U.S. Only 4 Streakers including myself chose Norway, nice work fellow risk takers! The biggest winner of the day was the San Francisco Giants and the 94.5% of users who picked them to beat the Atlanta Braves. At the end of the night, our leader still sits at 11. Thanks to Scott Kazmir's mediocre performance on the hill today, our leader, 76bluestingray has tied the highest streak of the game at 11. Only 4 more to win the cash prize, can he hang on? Will the pressure get to him like our last leader? Stay tuned to find out. Speaking of #19, Kazmir only lasted 4 1/3 innings giving up 5 runs and 3 walks while only striking out 4. In his past 9 starts he has only made it past the sixth innings in 2 of them. Also, Carlos Lee took care of our afternoon prop by himself hitting a 3-run homer in the 3rd inning. Few more matchups to pick tonight so get to it! Our source for the start time between Cruz Azul and San Luis had a bit of a mix-up and the game is actually at 9:30 p.m. ET tonight. Unfortunately, it is not on t.v. but you can stay updated on the gamecast provided by ESPN Soccernet or on flashscore.com. Both teams are 1-0-1 (W-L-D) and look to stay undefeated. If you picked this matchup originally scheduled at 11:00 a.m. the good news is, your pick is unlocked, and there is now a late game to select. Bad news is, if you lose your next pick because of the time mistake, your streak is still over. Feel free to express your anger to me here. 9:47 AM ET: U.S. Women and a 11-Game Streak Go Down! Hope Solo and the U.S. Women's soccer team were just upset by Norway 2-0. 99.1% of streakers playing this matchup took the crushing defeat, including our now previous leader who reached 11. Our new leader sits at 10 but has not made a pick since Sunday. 76bluestingray must be looking for his perfect matchup. Today's Preview: Wednesday kicks off at 7:45 a.m. with the Beijing Summer Olympics women's soccer group play featuring the gold medal favorite USA taking on Norway. Norway gets the draw in our matchup but don't expect it to be a cakewalk win for the U.S. as this Norway squad is predicted to finish as a close second in group G. At 12:40 p.m. Scott Kazmir's strikeouts goes up against the Cleveland Indians walks + runs scored. Kazmir only recorded 5 strikeouts and walked 6 in his previous start. Could this have been a fluke start or a beginning to a slow decline? Your call, streakers! Lance Berkman, who sat out last night's game against the Cubs is supposed to be in action tonight, teaming up with Carlos Lee to take on the two-headed Cub monster: Derrek Lee and Aramis Ramirez in a hits vs. hits matchup. Don't forget on ESPN2 at 7:00 Thierry Henry leads FC Barcelona to New York to take on the Red Bulls. Barcelona is a heavy favorite therefore we put Henry and Euro 2008 MVP, Xavi against the whole Red Bull squad in a most goals prop. Also, Wednesday Night Baseball features AL MVP contenders Alex Rodriguez and Josh Hamilton battling it out for most bases in our last prop of the night. Lastly, some MLB lines: Giants -180, Phillies -150, Yankees -125, and Cardinals -105. Best Bets: US Women, Indians walks + runs, Giants, and A-Rod. Yesterday's Notes: Not a good day overall for streakers with a overall win PCT of 47.4%. The major streak breakers were the Yankees and Phillies going down. So much for 10-0 vs. the Marlins, Jaime Moyer! Our leader is only 4 wins away from $4,500 after the White Sox score 4 runs in their last at-bat to win in the 14th inning. Can grier98 hang on? Andrew Bogut, Australia's leading scorer sat out today's game to rest his sore right ankle. Due to the late notice of the injury, Bosh and Howard are awarded the victory in our matchup. Enjoy the freebie folks. Other notes for the day: Jaime Moyer (PHI) is 10-0 in his career against the Florida Marlins and Gavin Floyd (CHW) is 3-0 in his 7 career starts against the Detroit Tigers. Today's Preview: Tuesday starts off with what looks like a major mismatch on paper with Andrew Bogut of the Australian national team going up against both centers of the U.S. team, Dwight Howard and Chris Bosh, in the final tune-up game before group play begins. Bogut averaged 14.8 points in the 2004 Olympics, and 12.8 in the 2006 FIBA championship, while Bosh and Howard combined for only 8 points in their last tune-up game against Russia. Our Champions League qualifying matchups give both home teams the draw as they try to come back and stay alive in the tournament. Speaking of soccer, the North American SuperLiga championship takes place tonight with two MLS squads going for the title, with the Revolution playing on their home pitch. A few MLB games round out the night with the Yankees, White Sox and Braves all favored. Yesterday's Notes: Another day, another streak of 10 goes down. We've now had 5 streakers get to 10 and all failed trying to reach 11. Our solo current leader at 10 did not make a pick yesterday. A dismal overall winning PCT of 30.8 in the books for Monday. The Minnesota Twins gave up 10 runs in the 7th inning en route to the biggest loser award, followed closely by the Boston Red Sox. Roy Halladay checks in as the biggest winner, out dueling the entire A's staff by 1 strikeout. 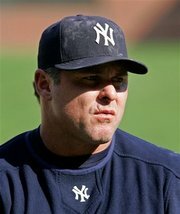 10:39 PM ET: Joba hurt, Thunderstorms in Chicago, Giambi shaves...Oh My!!! The Yankee savior is hurt! Joba Chamberlain left the game tonight in the fifth inning with what appears to be a right shoulder injury. He gave up five runs including eight hits and two walks. But Joba only gave 12% of users the loss. Other than Mussina isn't Joba the Yanks best starter right now? So much for that surge every August Yankee fans. Also, The Astros-Cubs game is delayed due to wicked thunderstorms and it looks like we could be heading for a postponed matchup. If this does happen those who picked the Astros vs. Soriano prop will be unlocked so you all can pick another game, starting tomorrow in the a.m. Oh and I can't forget this: Giambi shaved the 'stach! Baseball is going to miss that thing. What a hit that facial hair was. Today's Preview: Not a whole lot to choose from today but we always seem to find a soccer game to throw into the mix. We use the French Ligue 2 for the first time as Montpellier is the underdog on the road against Strasbourg. The rest of the today features a variety of MLB games and props. Most notably, the Houston Astros runs against Alfonso Soriano total bases + runs, featured on ESPN Monday Night Baseball. Some notes: Halladay had 8 strikeouts in 8 innings in his last start, the Rays are -130 versus the Indians, the Red Sox are -115 against the Royals, the Twins are -130 versus Seattle and San Fran is -125 at home against the Braves. There is potential for a 3-win day. Best Bets: Soriano, Twins and Giants. Yesterday's Notes: A solid day for streakers today with an overall winning PCT of 64.7%. Pat Burrell and Chase Utley were your big winners of the day, while the heavily favored Angels were taken down by the Yankees as the biggest streak breaker. Our two leaders only picked once today and both won, therefore they both sit on top of the leaderboard with 10. It will be interesting to see how long they last. Today's Preview: Welcome to the weekend, streakers! Things start to get interesting at 1:05 p.m. with a pitcher prop featuring Paul Maholm of the 'fire sale' Pirates against Ted Lilly of the Cubs. On the road this year, Maholm is giving up an average of 6.7 hits per game while Lilly gives up only 5.4 hits per game at Wrigley. The Nationwide Series is in Montreal today where Jacques Villeneuve is looking to make a statement on his home track. We put him up against the always consistent Carl Edwards. At 3:55, Junior Griffey is in the middle of his first series in a White Sox uniform, so we had to get him some action on our board. We put him up against Kyle Davies in a total bases vs. strikeouts matchup. Davies only has a total of 30 strikeouts in his 11 starts this season, therefore Griffey looks like a good pick here. Two of the best fireballers in baseball take the hill in Houston at 7:05 with Johan Santana squaring off against Roy Oswalt in a strikeout battle. Before you head out to the clubs, make sure you check out our last matchup of the day with two MLS squads kicking it on the pitch. The Columbus Crew gets the draw even though they have a better record then the Houston Dynamo. But, Vegas is loving Houston at home, and we plays odds over records here at Streak headquarters. Best Bets: Lilly, Edwards, Santana, and Dynamo. Yesterday's Notes: Another solid day of streaking with the overall winning PCT at 70.9%. We have our first 10-game streaker since July 24th, and today could big a big day for our leaders at the top as they inch closer to the magic number of 15. Big winners of the day were the Giants, Rays and Jimmy Walker, who took down Ms.Wie as she failed to make the cut in Reno. Also, Soriano and Lithuania disappointed a good amount of streakers whom both had over 80% of users taking them over their opponents.